This is my all time favorite soup. Add potatoes and broth and bring to a boil. Reduce heat, simmer and cook 15 minutes. Add nettles and cook until very tender, about 10 minutes. Stir in remaining 1 T. butter, pepper, and nutmeg. 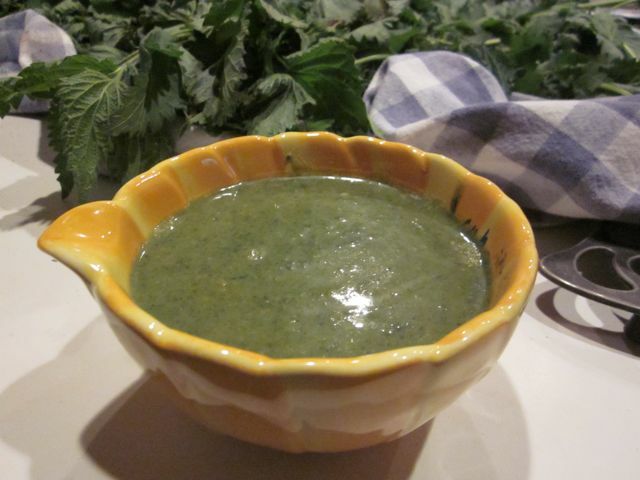 Nettle is one of our most nutritious plants. Nettle contains high amounts of calcium, magnesium, chromium, and zinc.